Grow Your Own: The Garden is a Reality! The garden has been built, planted and is now growing. Some might say that since no posts have come forth that those facts prove that I am behind in my posting. Those people would be correct. 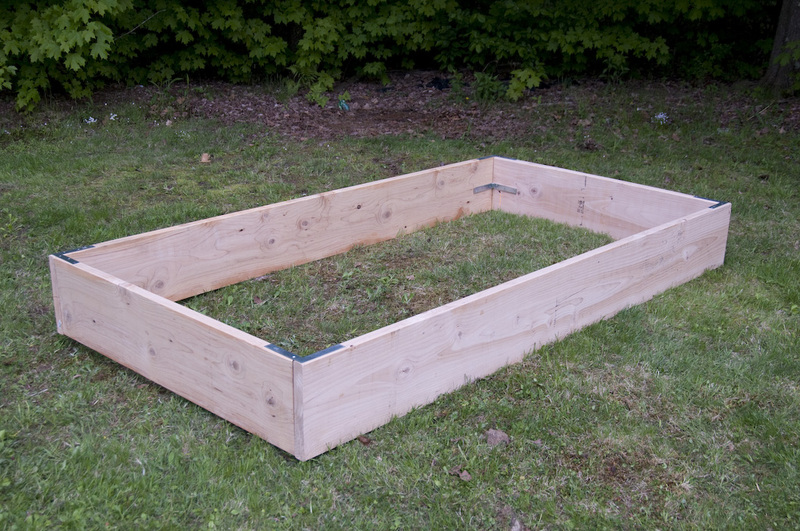 The garden is a single 4′ x 8′ raised bed. 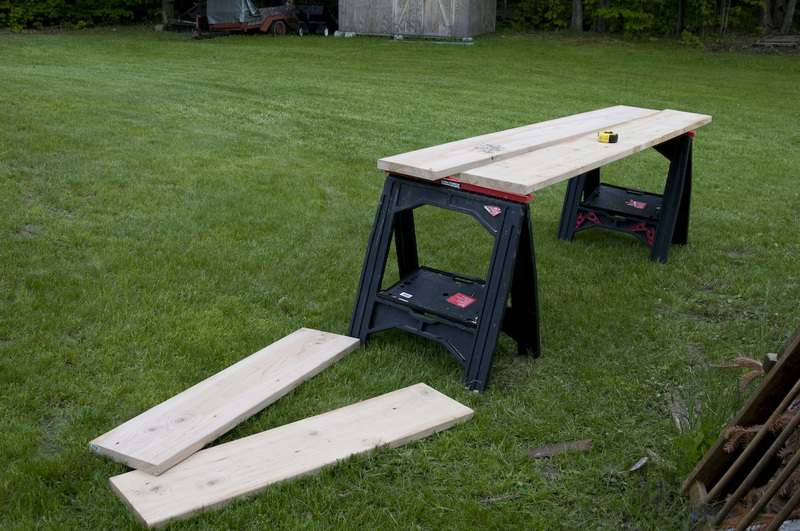 For it’s construction I bought two 12 foot 2×12’s and cut 4 feet off of the end of each. A attached them with an internal bracket and a top bracket. It took only a few minutes to put together but think ahead as to which screws you will use. Make sure they are the right size for both the bracket and the depth of the wood. As mentioned in a previous post, I bought two of Hugh Fearnly-Whittingstall’s books, The River Cottage Year and The River Cottage Meat Book. While I finish reading about raising my own meat I thought I ought to post some of my thoughts about The River Cottage year. Alright, I’ve made the decision to try to produce some of my own food. Now what? Seems step one should be to do a bit of research. The root of this decision comes from a British television series called River Cottage. It’s basically about a guy who leaves his life in London to start a small farm to feed himself. This is not what my intention is really; I want to feed myself but I don’t want to leave my job or support myself off of the surplus. Not today at least. The show was hosted/created by Hugh Fearnley-Whittingstall so I figure that it’s to him I should look for some advice.